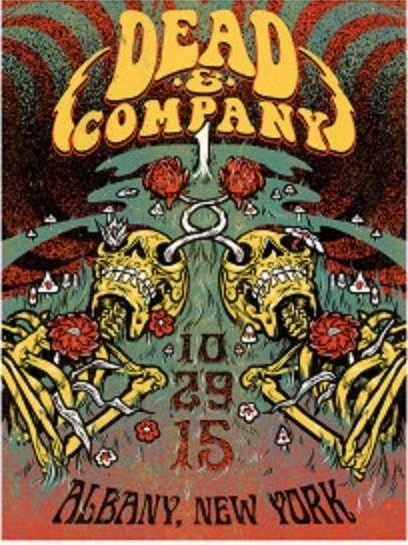 Official concert poster for the 10/29/15 Dead & Company concert in Albany, New York. This was the opening night of the tour. Designed by artist Casey Howard, this 18" x 24" screen printed poster is hand numbered out of 900. Officially licensed Dead & Company merchandise.